Cylinder power balance testing gives us an indication of each cylinder’s power, testing its effectiveness compared to the others. Misfires can be fairly random and if spaced far enough apart, they should not cause any harm. A frequent or steady misfire will cause a sharp rise in unburned hydrocarbon emissions. As a result you could see a noticeable drop in power and a significant decrease in fuel economy. This test involves disabling one cylinder at a time then recording the rpm. The capabilities of the PCM. The ease of accessing the required components. Also the tools you have available for the job. For many OBDII vehicles, you can identify which cylinders are misfiring by using a scan tool to access stored diagnostic trouble codes (DTCs) in the PCM. You can also access mode 6 data, which will give you information on how prevalent misfires are on each cylinder. In some cases, you can also use the scan tool to command the PCM to perform an automatic power balance test and report the results right on the scan tool. 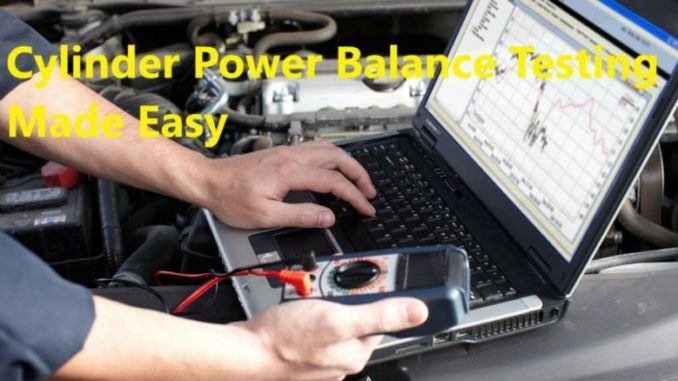 On most newer vehicles, using the scan tool is by far the best method of performing a power balance test. If the system is not set up to perform the test automatically you will have to do it manually. You will need to decide whether to disable the ignition or the fuel to each individual cylinder. If the engine has port fuel injectors that are accessible, disconnecting the electrical connector from each injector one at a time will shut off the fuel to the cylinder. If the ignition system is disabled for a cylinder, the fuel will still be delivered but will not be burned in the cylinder. As a result, This may cause it to burn in the catalytic converter, which can cause it to overheat and possibly be damaged. Shutting down the fuel is preferable if it is an option. If the engine has individual ignition coils on each spark plug, you can disconnect the primary electrical connector, which will shut off the spark to the spark plug. If the vehicle has coils that share cylinders (waste spark system), then you can place a 1″ (25-mm) section of vacuum hose between each coil tower and spark plug wire. Then connect the alligator clip from a non powered test light to a good engine ground and touch the tip of the test light to each length of vacuum hose to short out each spark plug one at a time. If the vehicle has a distributor, disconnect one spark plug at a time from the distributor cap. It is a good idea to use a test lead to ground the spark at the distributor cap terminal. So, Doing this will help prevent the spark from damaging the ignition module, which shuts down the spark for the cylinder being tested. 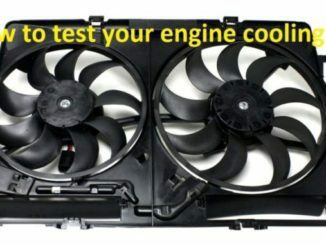 Visually inspect the engine to determine the best method to disable the cylinders. This may include connecting a scan tool, installing vacuum lines on each coil, or removing spark plug wires. If necessary, disable the idle control system. Start the engine and allow it to idle. Now you will need to record the idle rpm. Using the method chosen to disable cylinders, disable the first cylinder and record the rpm. 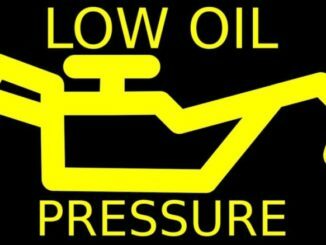 Reactivate the cylinder and allow the engine to run for approximately 10 seconds to stabilize. Repeat the steps on each of the cylinders and record your readings. Determine any necessary actions. So, Cylinder power balance testing is quick and easy to perform. It is important in identifying cylinders that have problems. The results of this test alone do not specify where the problem is. Comparing the test results will help you learn more about the problem. Compression testing determines the maximum pressure in the cylinder on the compression stroke of the piston. Cylinder leakage testing measures how well the cylinder seals. The cylinder power balance test compares the contribution of each cylinder towards maintaining a particular speed. In conclusion by comparing the results of each one of these tests to each other, one can identify what may or no be the problem. Engine Noise-Where Is It Coming From?-Is It Bad?